so last minute i decided to go to the olympia comics festival today because i just saw a picture of the prints made by greg means of tugboat press. this is a from a six page story written by mk and painted by me. here is the info from the tugboat site. 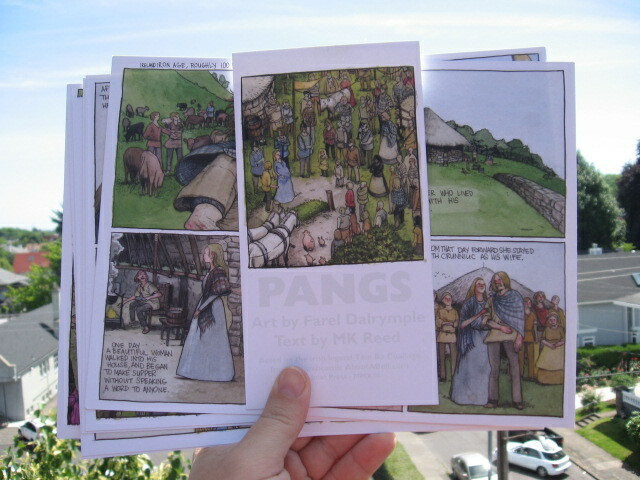 PANGS in a unique new collaboration from writer MK Reed and acclaimed comic book artist Farel Dalrymple. 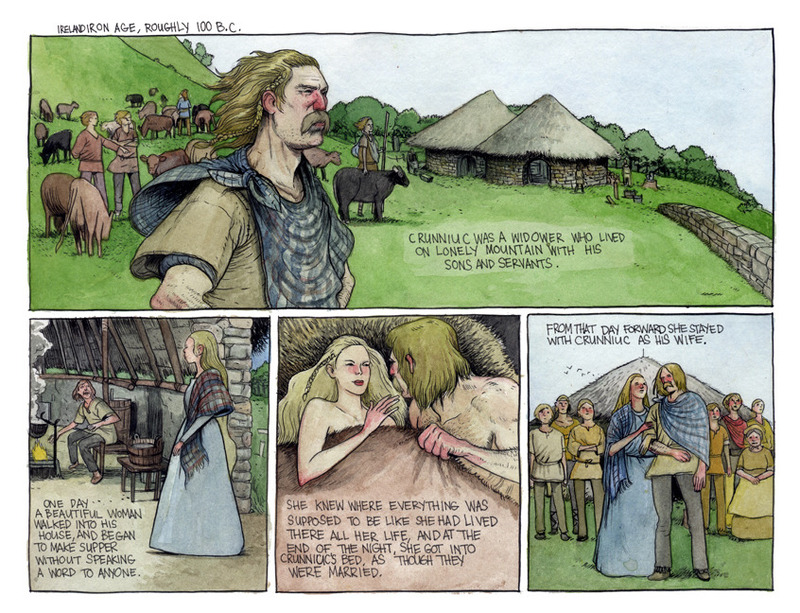 Based on the Irish legend Tain Bo Cuailnge, PANGS is a collected set of seven fine art prints that, when put together, tell the haunting and bizarre story of how an ancient land became cursed for generations. 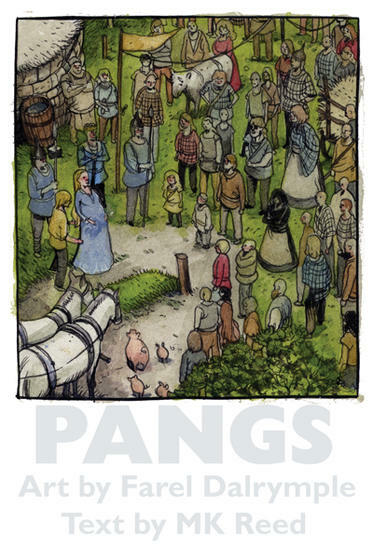 Showcasing Dalyrymple’s beautiful lush watercolors and Reed’s sharp wit and timing, PANGS is part frameable art piece, part readable comic book. 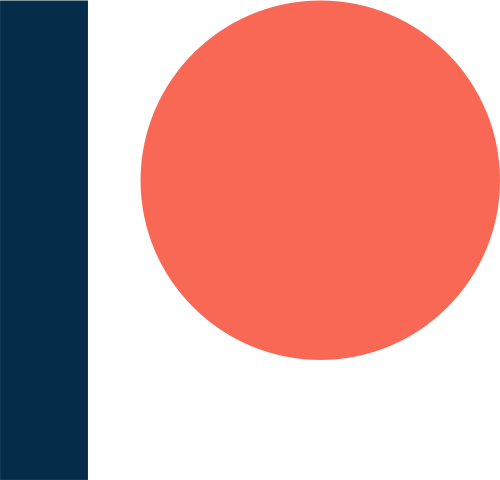 i will be there today from 1:30 PM — 6:30 PM signging prints at the tugboat press booth. i will also have nineteen copies of it will all hurt to sell if you want one or nineteen of those. hope to see some of you olympians there.